The national governing body of tennis in Australia was seeking an online court booking and automated access mechanism to improve the player's experience. Many affiliated tennis venues in Australia are run on municipal sites with limited staff. Tennis Australia sought to roll out an online court booking system combined with an access mechanism that would allow players to book and access courts through a single automated system. Following the success of the work with the LTA, Tennis Australia commissioned ClubSpark to integrate their robust booking system with a gate and light access system, allowing venues the power to automate their on-site bookings. Tennis Australia requested the user journey was to be consistent with their website and brand. With full customisation of brand colours and styles, the designs were also to include a booking widget to be placed on club websites. As well as the initial set-up customisation, there were a number of unique requirements specific to the Tennis Australia system. As the end user signing up to create an account, it was agreed the sites should feel related to the Tennis Australia brand rather than being aligned with the individual clubs. Although, there was flexibility for clubs to still have control over the design of their own sites. 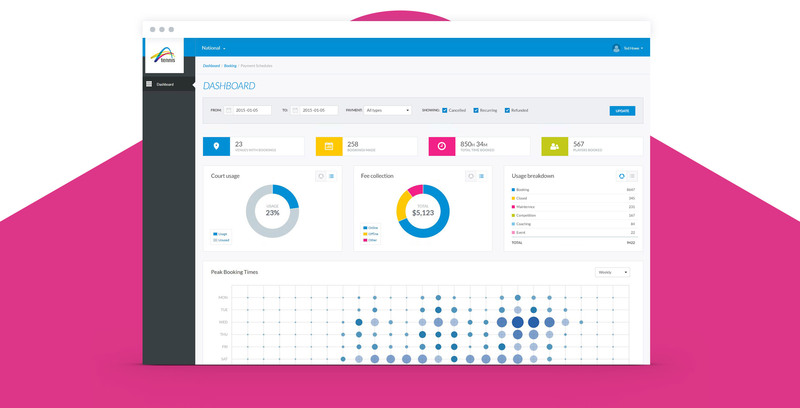 To measure the success of the system, an extensive dashboard was created providing in-depth data on bookings, user behaviour and more. The insights provided by the tool gives venue admins and Tennis Australia themselves, realtime information they can use to help make informed decisions on their future booking strategies. Clubs have seen a remarkable increase in revenue since introducing the combined online booking and smart access system. Being able to quickly and easily accommodate non-members and allowing them to book, pay, gain access all in one simple journey, has also positively impacted both court usage and memberships. Working in close relationship with Tennis Australia the aim was to successfully implement an end-to-end booking system. To generate an increase in court utilisation, deliver an easy online process for players, while also providing a simple and intuitive system for operators to manage the usage and access of their courts. The Book a Court program was first piloted in Victoria in 2015/16 and has been installed in 56 venues and 486 courts nationwide. In 2017, there have been over 53,000 bookings made, generating an increase in online payments and unlocking new revenue streams for all clubs involved. Tennis Australia took home the Excellence in Innovation award for Book a Court at the Australian Sports Commission (ASC) Participation Awards 2017. 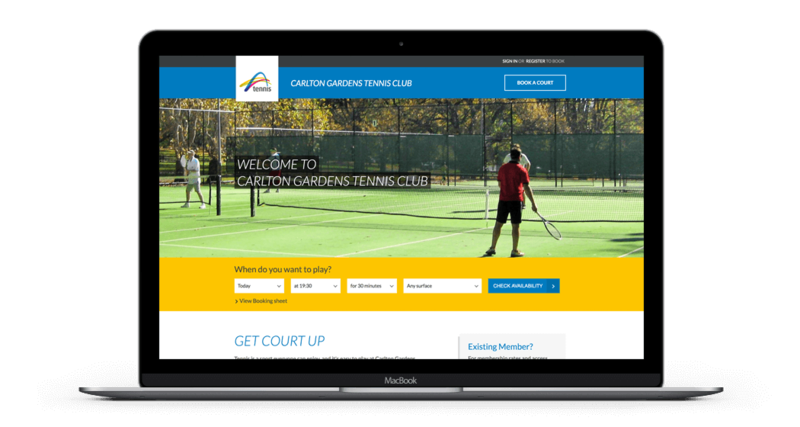 "The combined booking and access mechanism that ClubSpark developed has allowed tennis clubs across Australia to open up their courts to new members and casual players. As many of our clubs are not manned it made it hard for non-members to use the courts. With the ClubSpark system, players can turn up, book online, pay the fee and receive their code to access the courts. It has helped increase both the number of people playing tennis and the tennis clubs’ revenues – a winner all round!"